The trees on Trattore’s property, in fact, are over 100 years old and it’s found that the same soil and climate that has made it optimal for the vineyards is also conducive to cultivating olive trees. These such trees have been revived over the past few years, and the winery has been at its present location since 2006. And now, there are over a dozen varieties of olive oil that Trattore offers, along with a couple balsalmic vinegars. 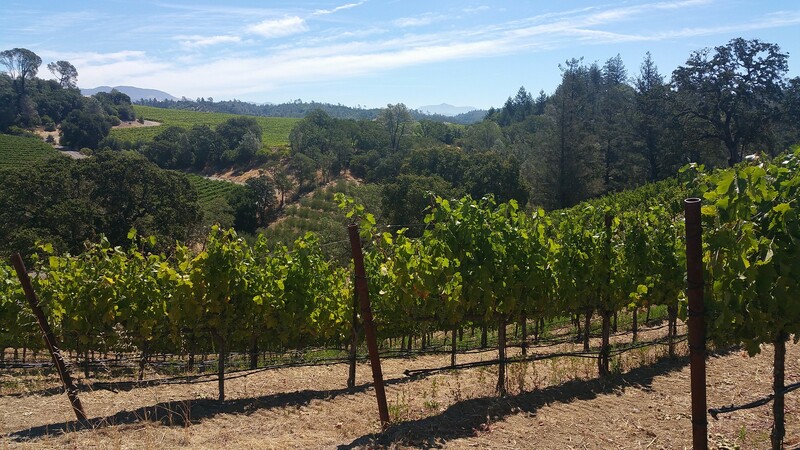 The vines and orchards are sustained by the advantageous climate as well as one of the most advanced water filtration systems in the county. With Trattore heading up the Valley’s olive oil production, it’s also a great place and opportunity to learn about the virtues of California olive oil. As of the past 2 years, California olive oil has undergone eons more stringent regulation to be called “extra virgin” than anything being imported from Europe. Given the fact that only 1% of all olive oil being consumed in the world is Californian — with a clear eye on growth — these standards are serving as a baseline to combat what is considered subpar product coming from Europe, going forward. And, of course, there is their wine. Trattore grows mostly Rhône varietals, including Dry Creek Valley’s most popular grape variety, Zinfandel, as well as Petite Sirah, Grenache, Syrah, Mourvédre, Viognier and Marsanne. The views from the top of the 40-acre ranch are absolutely breathtaking. You’ll get views from Geyser Peak to the entire Dry Creek Valley. With each block being individually managed as well as performing micro picks at harvest, all product at Trattore is the result of thoughtful cultivation. The best thing is that you can taste a selection of their wines in a variety of tastings, which are available 7 days per week from 11 AM – 5 PM. The Estate Menu at $20 (waived with purchase) will take you through 4-6 of their estate wines as well as all their extra virgin olive oils. The Reserve Menu at $30 (waived with purchase of wine) will also take you through 4-6 of their estate wines including their Appalachian series. Fees are waived for all Club members. There are also outdoor seated tastings available with a charcuterie plate (add’l charge) and Wood-fired pizza Sundays using their own dough and olive oil in the Spring and Fall. If you have 8 or more people, a reservation (707-431-7200 or email [email protected]) is recommended and costs $25 per person. You can also go for the whole gamut and go on a vineyard, orchard and olive mill tour at $50 per person. 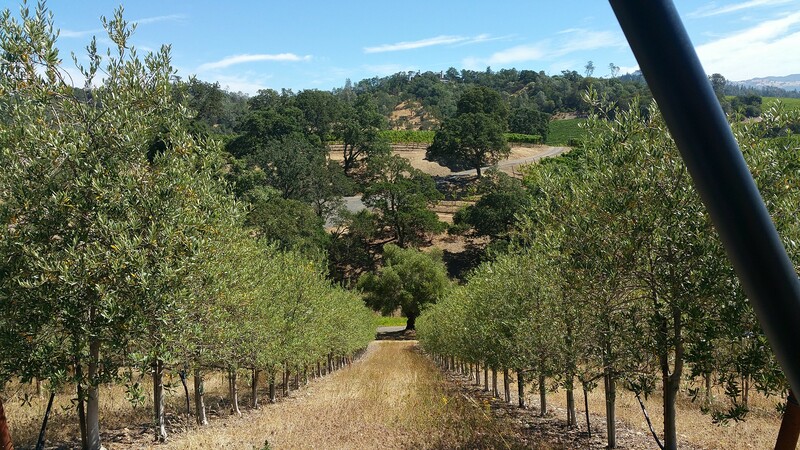 When you can tour the grounds and taste wine and extra virgin olive oil from the same estate, you’re bound to have an unforgettable experience in Dry Creek Valley. There’s yet another worthwhile experience that can be found at one of the most luxurious and well-known properties in Dry Creek Valley. 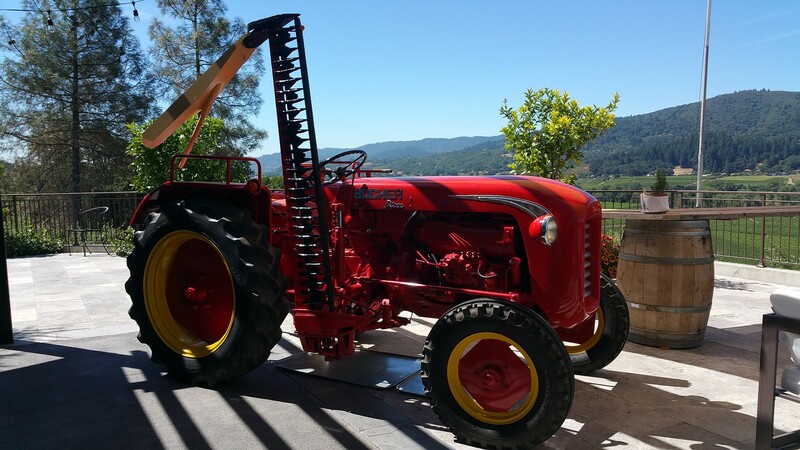 Take advantage of the food and wine pairing experience at Ferrari-Carano Vineyards and Winery, which is over 35 years old and one of the most productive vineyards in the area, making it possible to curate tasting experiences and meals thanks to their top-notch chef and team. 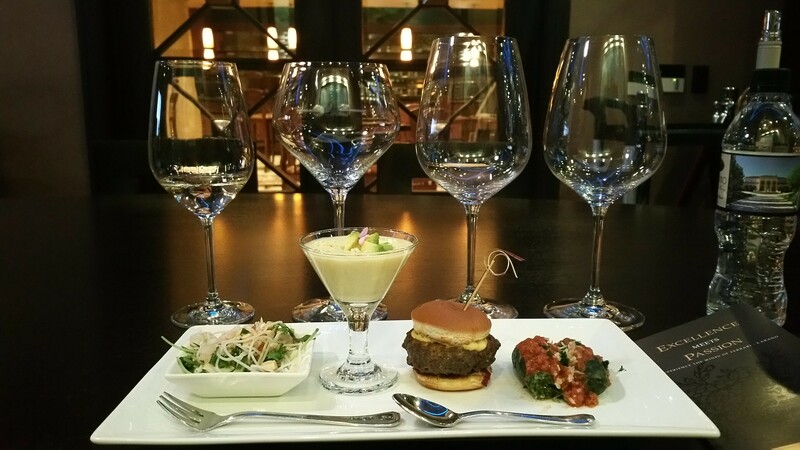 I was lucky enough to get to experience a tasting, pairing up foods with a selection of their estate wines inside their underground Ville Flore room, which is actually open for walk-in or VIP tastings 7 days per week. Their food pairing experience is called the Matchmaker tasting and includes their PreVail brand. Be sure to make your reservation at least 7 days in advance so they have ample time to prepare your tasting. I’d be remiss if I didn’t also mention they have quite an array of tasting experiences — so be sure to take a gander and see which one is closest to the experience you’re looking for. Whether you’re into whites, reds, Cabs, Pinots, or awakening your “smell memory,” they’ve got a lot to choose from. 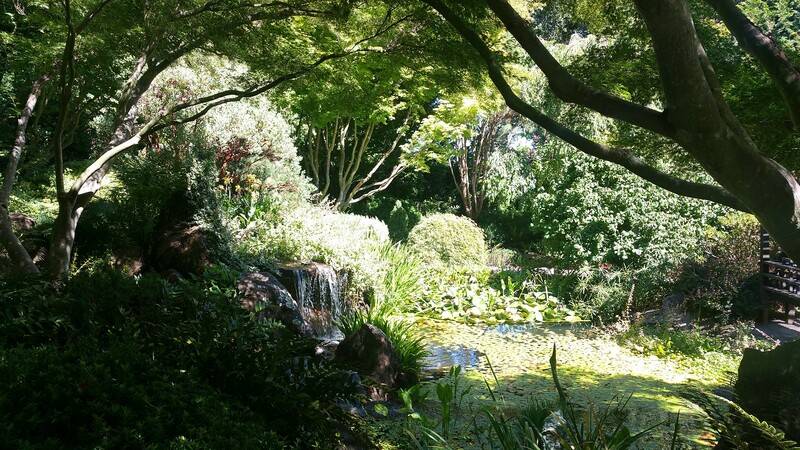 The Ferrari-Carano grounds themselves are a wonder to stroll through, so be sure to take a look and enjoy all the carefully groomed gardens and serene waterfalls. This entry was posted in Travel, wine and tagged #winewednesday, California olive oil, Ferrari-Carano, olive oil, Trattore farms, vineyards, wine. Bookmark the permalink. ← See You at Northstar California!